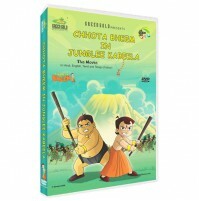 Bheem is given the responsibility to rule the kingdom of Dholakpur while their king, Raja Indravarma II, is away to meet an old friend. Everything is happy and normal in the kingdom until a few days have passed by and the king still has not returned. Everyone is worried about the king and the princess. 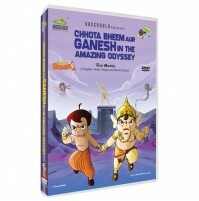 One fine day a messenger from Egypt comes to the palace and hands over the kings call for help to Bheem. Bheem and team immediately start for Petra, Egypt.The journey is a roller coaster ride with Bheem fighting sea monsters and braving the desert fury. They finally reach Petra, where they are taken captive by desert robbers. 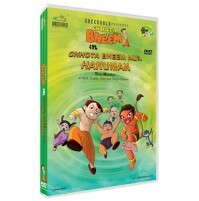 Bheem shows his prowess once again and the kids resume their journey to save their king. They finally meet the king who is elated to see them. He tells them that his friend's daughter, who is the princess of Petra has been kidnapped by -Kala haath-, a dangerous villain. 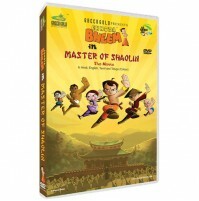 Bheem and team set out to fight this evil man, encounter many dangers, and surpass them all, to finally save the day for Petra!